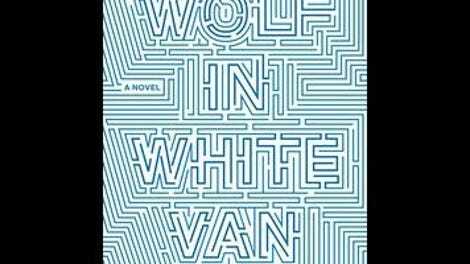 Wolf In White Van explains its whole premise in the first few pages—and then spends the rest of the book retelling it again and again, moving the reader toward one particular moment, one particular scene, that changed protagonist Sean Phillips’ life. The result is a journey of always knowing and always discovering—a tricky proposition for any writer, an incredible feat for a debut novelist. But John Darnielle isn’t new to writing. 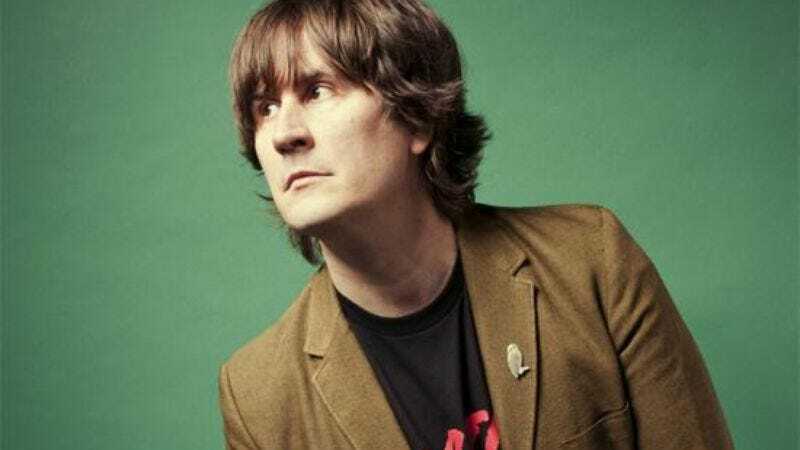 He’s better known as the force of nature behind the indie-folk band The Mountain Goats, so it’s no surprise that the poesy of his lyrics comes through in his prose, too. Darnielle creates Sean by calibrating his voice—the novel is narrated in first person, and every moment is colored by Sean’s unique, dry observations as he navigates the maze of his own life. It’s significant that Sean Phillips is a game designer himself—of an older style of stripped-down game. He’s constructed a role-playing game called Trace Italian that has become his primary source of income. But for Sean, and for some of his players, Trace Italian is not just a game—it’s a doctrine, a code, a way of living. He sends the players their situation; they send him their responses. He chooses the appropriate next step and sends it back. It’s simple. But no one ever wins Trace Italian—no one will ever live that long, Sean observes to himself. No one reaches the end, the fortress of stability in the middle of his version of a post-apocalyptic hellscape. The game is an essentially pointless set of maneuvers in an imagined space of loss and struggle and death. And Sean needs it to survive. If Wolf In White Van has a problem, it’s that it’s not clearly about any one thing. But that appears to be Darnielle’s intent, as he’s constructed the novel to reflect Sean’s mind, and Sean’s mind is the game Trace Italian. Just as his players kick down a door to find a dead body, or mysterious charts and notebooks, or dried-up provisions, the readers turn a page to find a telling moment with Sean’s nurse, Vicky, or a drawing of a gun taped to a wall, or the way he felt when he sat on the rocks outside his grandparents’ house. Nobody could ever notice it all in Trace Italian, and no one could ever notice it all in Wolf In White Van. It would be comforting to believe that just knowing your own path in the novel, in the game, in life itself would be okay. But Sean doesn’t settle for such comforts. What the reader experiences of Sean is a rich, shaded interior life, one that leads him through heavy metal, Conan The Barbarian, and runs to the liquor store for candy. What most of the rest of the world experiences of Sean is his disfigurement: His face was injured horribly when he was 17, and though he’s now able to live independently, he’s acutely aware that his face has become a nightmarish mask for those around him. “I always wonder if people are afraid of me because they think I’ll do something: press my face up against them, or start making funny noises. I am always a little tempted to satisfy their fears.” And earlier: “I knew she wanted to ask what I was doing, but I had the advantage. Nobody liked to see me speak.” How and why Sean was injured is part of the novel’s crucial knowing and not-knowing. But Sean owns his state: “I put on a face,” he says at some point, technically talking about the way he handles an emotional state, but really embracing his existence. Trace Italian is where he can live purely in imagination, and occasionally connecting with a few other people in the world who see things the way he does—or almost. Wolf In White Van picks up the threads of a few of these people, offering Sean glimpses into their branching paths in their own mazes as Sean leads them through his own. There is ultimately something incomprehensible about Sean Phillips, so there is something ultimately incomprehensible about Wolf In White Van, too. There is a steadfast darkness somewhere in Sean’s soul, tied to a profound belief in the heady stakes of the universe that most people discard during the process of growing up. In that, it is purely Darnielle—phrases like “ravenous grief” and “draw some lesson from a place where no lessons were” could be from the stark and raw lyrics of The Mountain Goats. In both his music and his prose, Darnielle does not shy away from the hard stuff. Indeed, Sean might argue, the hard stuff is the point.